1. 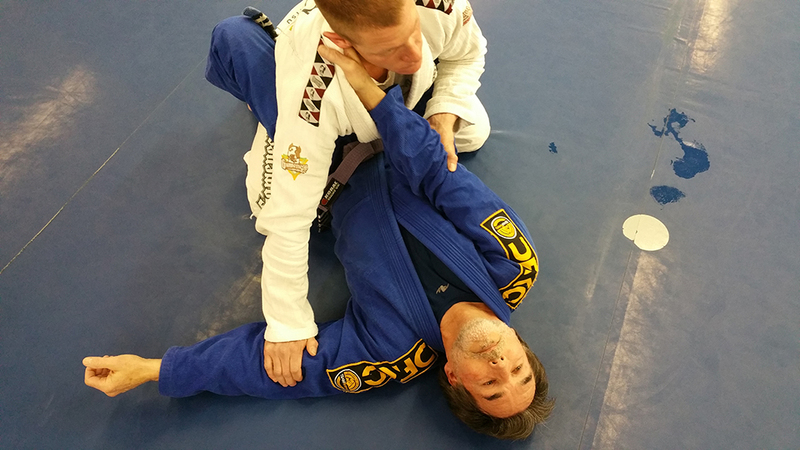 In traditional Brazilian Jiu-Jitsu the person on the bottom must first keep his elbows on his opponent’s thighs in order to not allow his partner to start making his way up on to your chest. 2. The opponent puts his right hand in your collar. 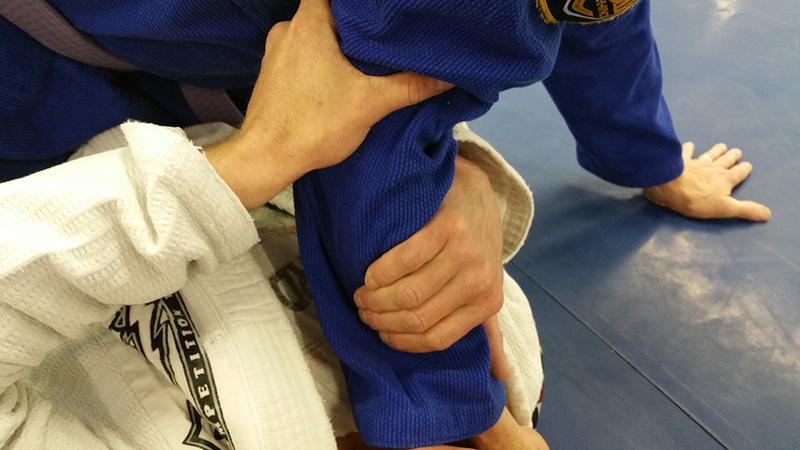 Grab your opponent’s right forearm with your right hand and hold it tight to your chest, trapping it. Your left hand will grab him at the right elbow. Be sure to have your left hand holding his elbow as if you are holding a glass of water. This will ensure that your opponent can’t rip his arm out of your grasp. 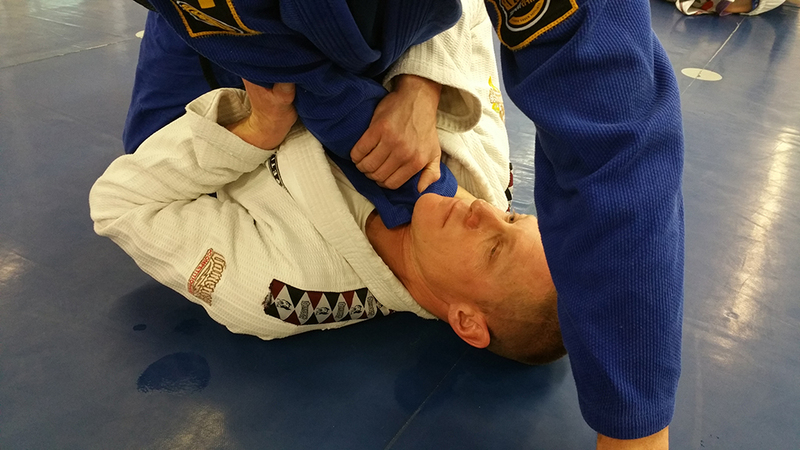 Keep your elbows in tight to ensure that your opponent can’t ride up to your chest defeating your bridge. 3. 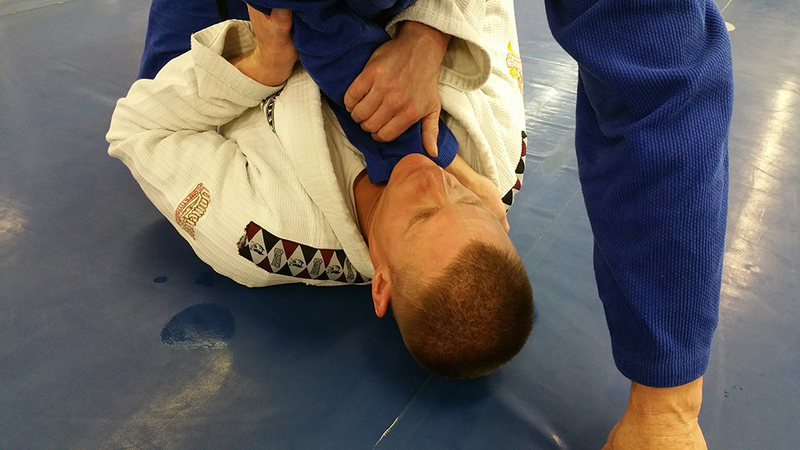 If you do not hold the opponents right elbow with your left hand it will also allow him to place his forearm across your throat. This is uncomfortable and will make it extremely difficult to breath AND bridge. 4. This is another close up view of the proper hand configuration. 5. Pay close attention to the head position. This is the WRONG position for the head. 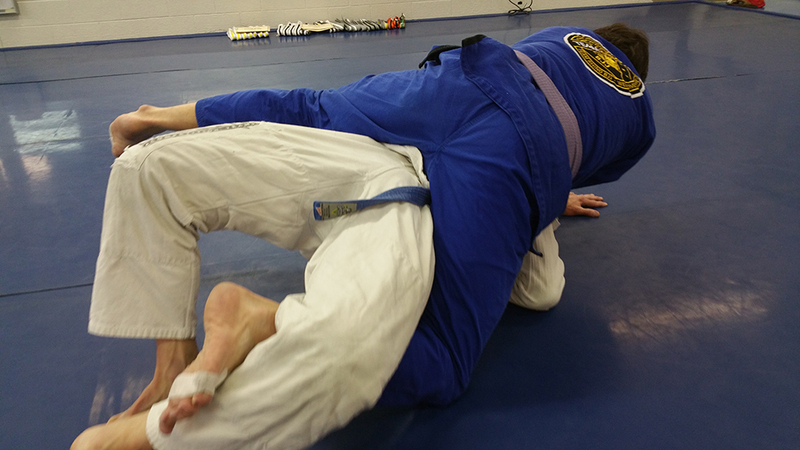 Do not have your head straight up and down or you will end up bridging your partner to the side causing him to effectively post his left hand on the ground. This will stop your Bridge. 6. 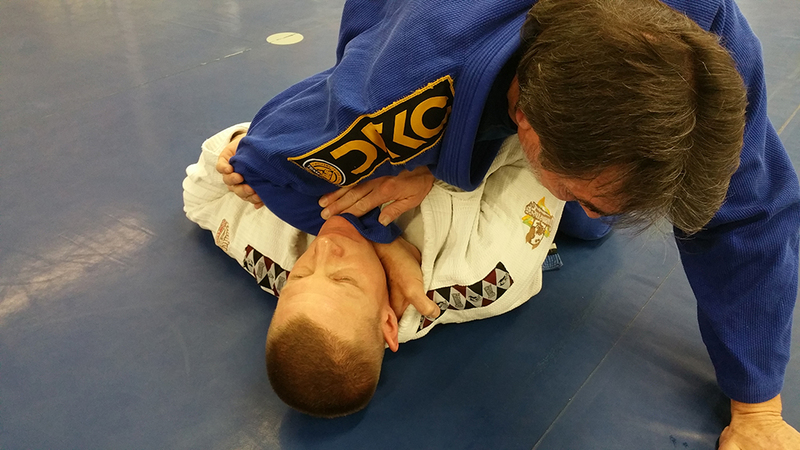 You will need to rotate your Entire body and head under your opponent’s left arm. 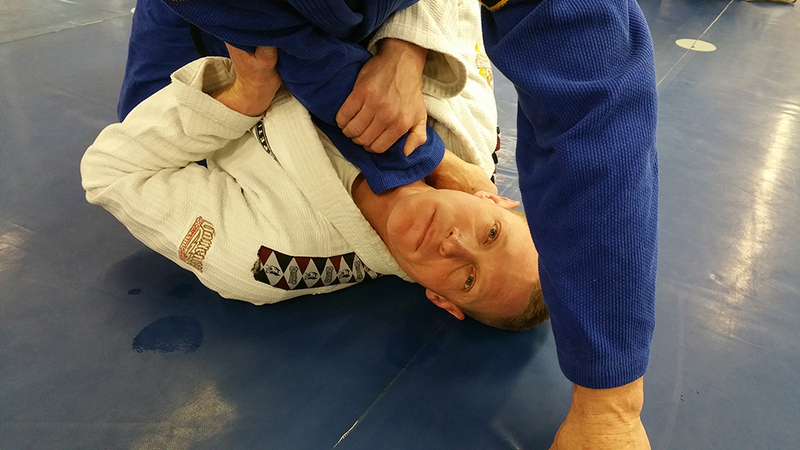 This is the secret to effective bridging. 7. Looking STRAIGHT UP OVER YOUR HEAD before you elevate your hips. Your partner’s body needs to be bucked toward the 12 o’clock position for maximum effectiveness. 8. 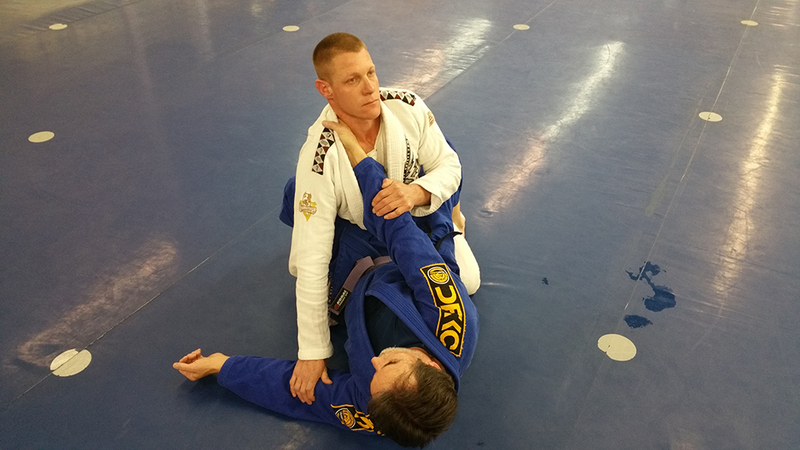 Keep your right leg as close to your rear end as possible to ensure that your opponent can’t grapevine your leg. 9. 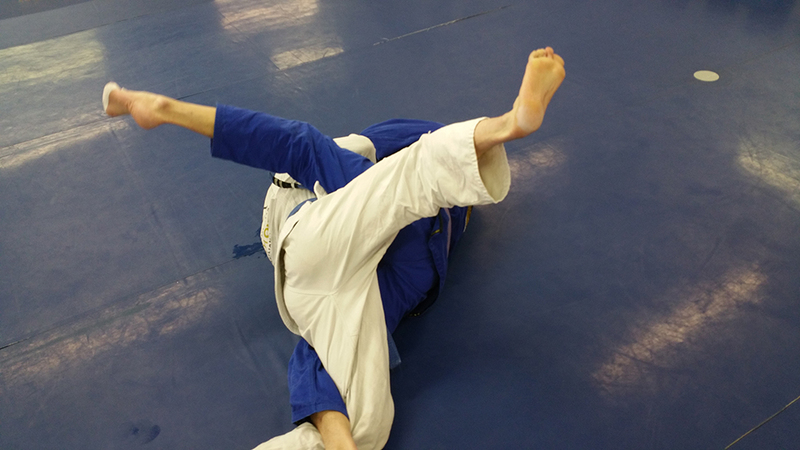 Hook your opponent’s right leg with your left leg. 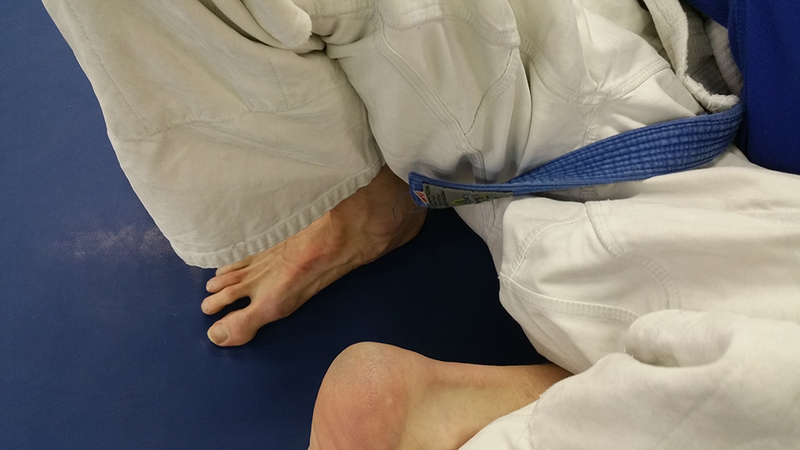 Be sure to use your heel to hook his foot and pull his foot tight to your rear end. Lay your leg over the rest of his leg. This ensures that he can’t post his leg during the bridge and stopping the UPA. 10. Rotating your head and looking straight up while trapping your opponents right arm and right leg bridge as high as you can making your opponents head hit directly over your head. 11. At the last second kick your right leg as high as you can to allow your hips to flip over and putting your opponent on his back. 12. 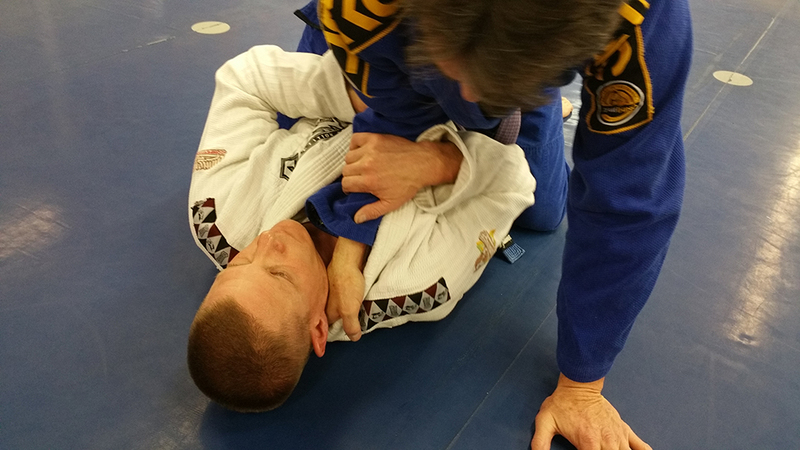 Start to sit up tall and put your right hand on your opponents left bicep to ensure that he can’t collar choke you. 13. Do not look at your opponent as you gain good posture. 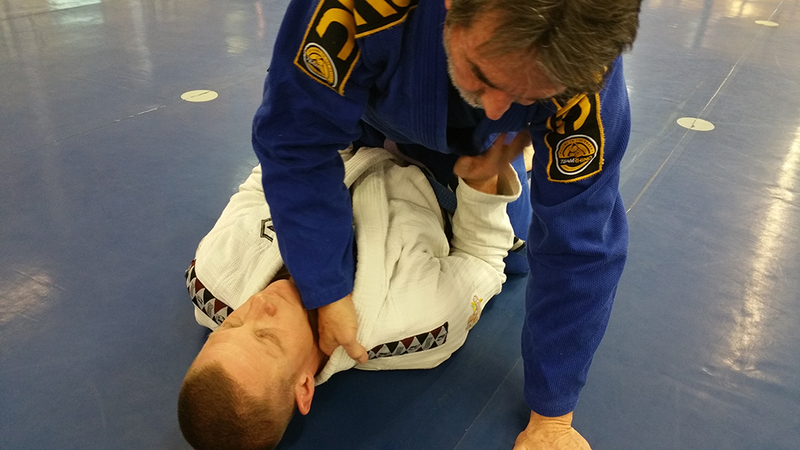 This allows your back to lock out and will not allow your opponent to pull you down toward his chest. This is a very important detail to not be pulled down.